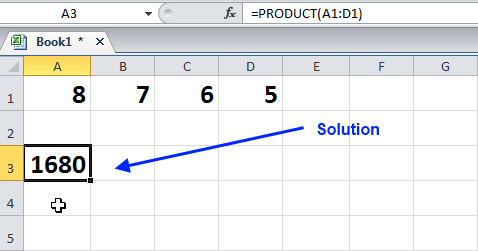 Inputting numerical data into your spreadsheets often requires you to do some math. 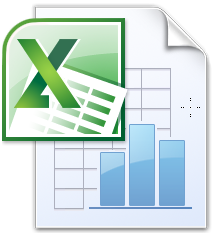 Fortunately, you can make Microsoft Excel do the math for you. 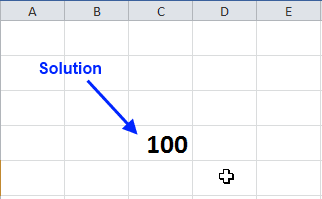 To multiply numbers in Excel, you need to familiarize yourself with the multiplication (*) and equal (=) sign. In this example, we are going to try to find the product for 4 and 5. Enter the formula into the cell. 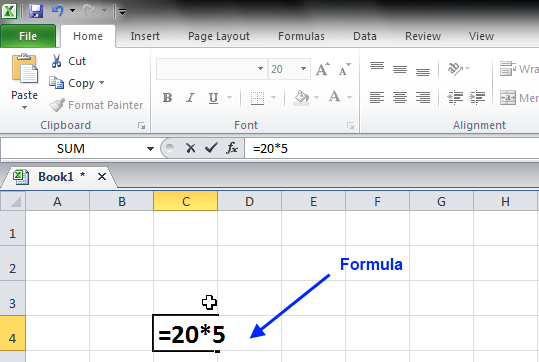 For example if you want to multiply 20 and 5, enter the following formula: =20*5. Press Enter to find the solution (the solution is 100). What if you want to multiply a cell by another? In this example, we are going to try multiply cell A1 (8) by Cell B1 (4). Enter the formula into the cell. 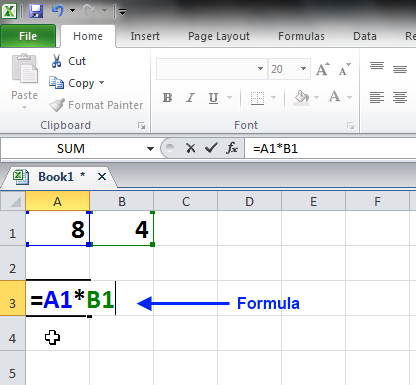 Since you are trying to find the product for cells A1 and B1, enter the following formula: =A1*B1. Press Enter to find the solution. What if you want to multiply numerous cells the same time? In this example, we are going to find the product for cells A1, B1, C1, and, D1 (8*7*6*5). Enter the formula into the cell. Since you are trying to find the product for cells A1, B1, C1, and D1, enter the following formula: =PRODUCT(A1:D1). The colon indicates you are multiplying from A1 to D1.